Temecula wine country is one of my favorite parts of living in San Diego. Every time I go, the day is filled with great memories, food, and wine. My latest trip, this past spring, was an exceptionally exquisite experience. San Diego Food Girl and I went on an epic culinary adventure beginning with brunch at Toast, a lively, but cozy restaurant, just 10 minutes from wine country. Toast is a great place to fill your belly before a full day of wine tasting! 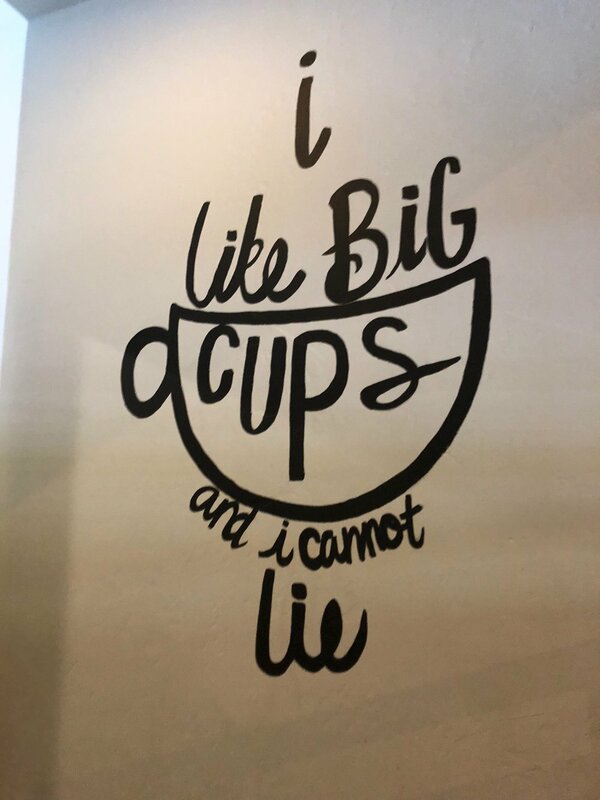 Upon walking in, San Diego Food Girl and I were immediately amused by the brunch memes on the walls which included, “turn down for brunch”, “I like big cups and I cannot lie”, and my personal favorite, “coffee; when your brain needs a hug”! I’m glad that Toast gets my sense of silly and cheesy humor. I hadn’t had any coffee yet, so my brain definitely needed a hug. The hug of choice was Vietnamese coffee for me, and a Vanilla Ice Ice Charcoal Matcha Latte for San Diego Food Girl. It was Bomb.com. Next up, our lovely server Dawn brought us out our bloody marys (duh). Not just any bloody, but The Farm Bloody Mary. Toast has 4 different bloodys to choose from, but The Farm is the creme de la creme. A mouthwatering mix that has “10 ingredients, 1 right decision” that is savory and hearty. Hot sauce and horseradish slither down your esophagus, and a smoky wood-burning flavor lingers on your tongue from the cayenne and other spices. When you sip The Farm Bloody you feel warm and cozy all over again, like you do when you first walked in. The Farm Bloody Mary is garnished to perfection! Even the bacon is different; it’s beef, not pork, which San Diego Food Girl said was outstanding! There’s an adorable itty bitty breakfast meatball, deep-fried blue cheese olive (delicious), smoked cheddar, pickled asparagus and cayenne pickled garlic and pepperoncini. 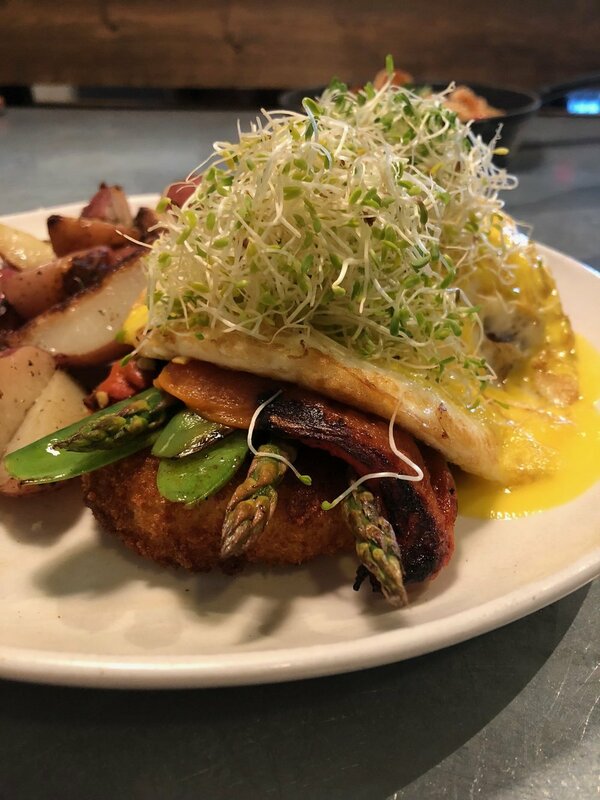 If you still have room for breakfast after your meal in a glass, I would recommend the veggie Benedict or the shrimp and grits! I can’t tell you how amazing it was! Although we were both full from breakfast, we couldn’t let that slow down our culinary extravaganza. Next, we headed to Callaway Winery where we did an amazing tasting and then dined on the most divine French food at their restaurant, Meritage. Finally, we headed to Peltzer Winery for another wine tasting with a bread and cheese pairing! All of it was so incredibly amazing and delicious! It was a great day full of great memories, just like all my trips to Temecula usually are. Toast did an excellent job of filling our stomachs before leaving for the wineries, and I recommend it as a must stop for breakfast; pre-wineries. Life is all about good times, people and food. Toast and Temecula certainly provide all of the above! Jul 25 Brunch Life Festival! !